I've noticed that very recently, ITV has removed their DOG from the top left corner on the ITV 'Hub'. For quite a while now, a lot of programmes on the ITV Hub have had no DOG (on Sky at least), with only certain programmes having a DOG, typically the 'bigger' programmes. I've had a look at some programmes from today, and it looks like nothing's changed, as some programmes still have a DOG. I’ve deliberately held back from commenting on this rebrand as I didn’t want to to make a rush judgement either way. On the way home tonight, I saw a big screen advert for Cleaning Up (a huge digital billboard at a London train station, I won’t say which one in case hundreds of you turn up there tomorrow in an effort to see me). The ITV logo was displayed on a large scale – a few metres wide at a guess (and only a guess, I was running for the train at the time). Honestly, it looked naff. I thought it looked naff in that first tube advert we saw posted here, I thought it looked naff on a larger printed billboard I saw a few days later, and it most definitely looked naff today. Mainly because whoever put the advert together decided to put a falling banknotes animation behind the 3D cutout of the logo, thus ruining any pretence that this was a logo ‘cut out’ of the background – it now looked just stuck on, the opposite effect. And that’s actually the main problem I have with this. The logo typically doesn’t appear large scale enough to look ‘cut out’. In fact it just looks like somebody has added some awful bevel effects in Photoshop, and if many of the applications we have seen appeared in the Gallery here they would be criticised as ‘chucking some effects on for the sake of it’. I normally hate that ‘looks like a mock’ line but it feels appropriate for me. As for the rest – I really like the idents so far, I like the rotating approach and I think that even if I don’t like all the interpretations, I like the concept and I like the variety. The endboards do a better job of showing the cutout effect through the animation, but ultimately look a little messy. I didn’t like the previous set of endboards at first but I grew to love them. Simple, unfussy, animated nicely and completemented everything else quite well. As has previously been said too, the seamless flow between various elements of the junction is missed by me – it really did look great and add a slick feel to what was going on. I appreciate it took a lot of work but I’m not convinced it couldn’t be simplified whilst maintaining the effect. It does as a whole feel a little diluted compared to 2013. Very good, in the main – but not quite what it once was. Still, as I say, I like the idents, and overall it’s still nice. I just kinda wish 2019’s set had come before 2013’s. 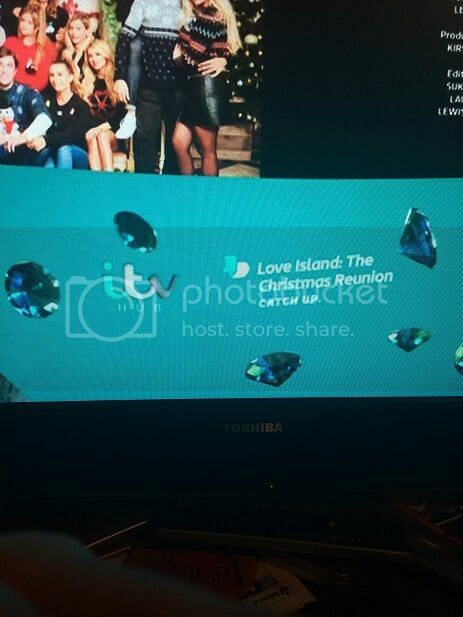 I don't know if anyone else has posted this yet, but I spotted the new ITV Hub logo on ITV Be last night. Ah, so it is getting a new look. I wonder if tomorrow will be when they flick the switch on the site/apps. Can't tell well from that photo but it looks extremely bland, at least the previous logo stood out, even on an app logo on a phone. They should at least pick 3 colours for the ITV logo that are unique for the Hub and stand out from the corporate logo. That colour scheme does kind of make sense. Cyan for ITV2, grey for ITV4, white for the main ITV channel. Though unlike the old logo (the six dots represented the six channels), this does leave ITV3 (blue), CITV (yellow) and ITV Be (pink) unrepresented. Yeah, the current ITV Hub logo is really unique and includes the colours from all the ITV channels. This new logo appears to just be the new 3-coloured ITV logo with the word " H U B" slapped on. I could be wrong, but I don't think the colours in the new ITV Hub logo are supposed to represent the channels anymore. I don't know for sure but I've got this feeling they ditched the idea of having all the different colours to represent the ITV channels. Blue is part of ITV Plc's logo so i guess that's a fair point. Lo and behold! An ITV Hub logo that actually has "Hub" written in it!